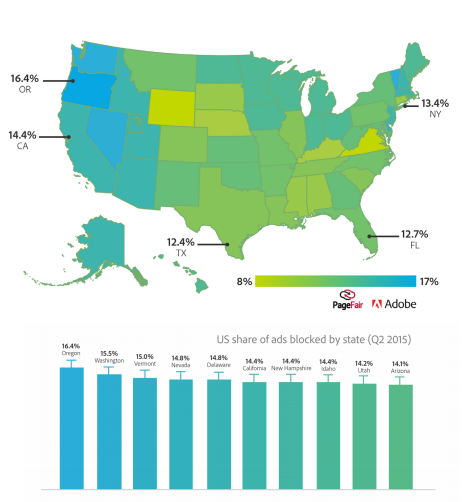 This article covers ad blocking and native ads. It’s the second in a four-part series on native advertising, a topic we believe deserves in-depth coverage. The IAB reported over a year ago that more than one-third of American adults were using an ad blocker, resulting in a $22 billion loss in global revenue due to blocked advertising. PageFair’s estimation was a bit lower, but they still believe that 45 million monthly active internet users were ad blocking in the U.S. in Q2 of 2015. 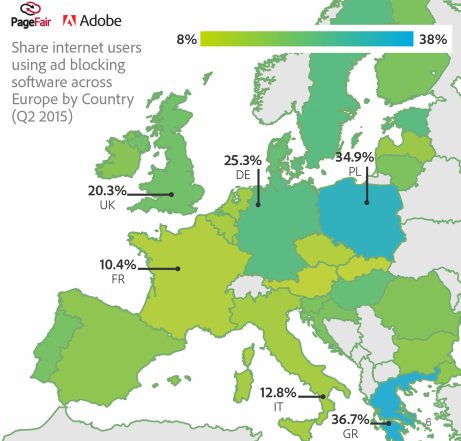 Ad blockers are even more popular in Europe. Greece boasts the highest rate, with 37% of people blocking ads, and when we look at the 18-24 year-old demographic, the figure rises up to over 36% in France. Plus ad blocking is on the rise — in Germany and the U.K., the rate has increased by 17% and 82%, respectively. So, why are more people blocking ads? More importantly, why are they choosing to block ads now? First of all, awareness is spreading, so it’s only natural that the rate is increasing over time. In addition, big data and tracking are major concerns, especially countries like Poland, France, and Germany, where, since World War II, the public has historically placed a high value on privacy. But, in general, people want more control over their user experience. Intrusive formats such as poorly designed pop-ups and interstitials can be disturbing, and on small screens, these irritations are even more pronounced because of a lack of space. There have also been claims that intrusive ads decrease the loading speed of pages and, in turn, deplete cell phone battery life. Keep in mind, though, that the possible 21% increase in battery life only applies to mobile web, not app usage. Therefore, overall improvement would most likely be hard to see. But regardless of that, in countries like the U.S., where data plans average $90/month (and over $110 for iPhone users), smartphone owners are constantly searching for ways to save on expenditure. Decreasing page size and loading time is one way to do that. So, the sell side has been forced to come up with some creative ways to fight back. Some publishers have reacted by creating a paywall, choosing to display high-demand content only to those who have paid to see it. This subscription model is feasible for some of the larger and more profitable sites, but it’s not a viable option for smaller and mid-sized ones, especially those just starting out with a limited budget. The main problem is that people are not ready to pay for information they can find for free elsewhere on the internet. So, what happens when your readers won’t pay for your content outright? Well, you can always play the morality card. The New York Times has called “to block or not to block” a philosophical question and Fortune 500 ran a spread on the ethics of ad blocking. So, for some, especially in the U.S., it’s become not only a heated debate, but a real moral dilemma: Is ad blocking fair, especially if you know that publishers rely on the monetization of their sites to survive? Publishers can easily answer that question, but, at the same time, they realize others may have a harder time doing so. Their response has been to jump into the conversation, posting messages on their websites reminding visitors that the present online advertising business model is responsible for their consumption of content at no cost. In short, advertising is paying for the internet. Even if the majority of people don’t appreciate commercials, it’s easy to argue that Americans are certainly more used to them. Before the invention of digital television recorders, they were forced to watch, on average, 15 minutes of commercials for every hour of television. The fact that commercials are somewhat ingrained in the culture means one could argue that, to a certain degree, readers, especially older ones, may feel guilty about “stealing content” they didn’t pay for, similar to the way they may feel shame after illegally downloading music from the internet. This explains why we’re seeing the “guilt message” pop up on websites more often. Some publishers have gone even further than the “guilt message”, opting for the complete restriction of content for users with an ad blocker. There is some proof that this tactic might work — especially since according to the IAB, 60% of current internet users would turn off ad blocking in order to have access to content. Additionally, about two-thirds of users polled by ad blocker Crystal said that their major problem is not with advertisers and that they’d be willing to whitelist non-obtrusive ad blockers and publishers. Note that whitelisting, which asks users with ad blockers to green-light certain sites to run ads, is more of an ad industry solution, not a publisher solution. Publishers have been gravitating to a more organic response — native ads. They may seem like a fad, but native ads actually have a long history in advertising. 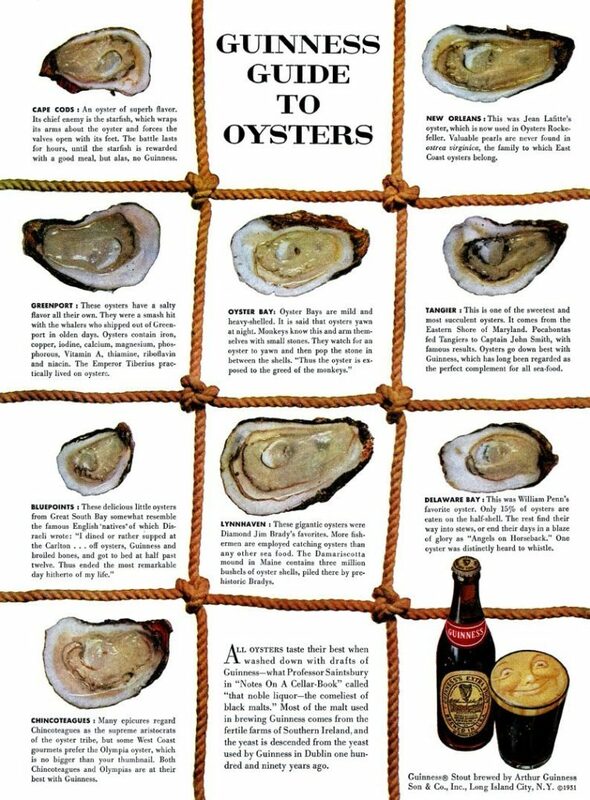 One of the most famous advertorials “The Guinness Guide to Oysters” was created by advertising mogul David Ogilvy back in 1950. It was for print media, but today’s native ads follow the same logic: an ad that blends into the editorial environment and provides insightful content can help create a memorable and positive experience. So, native ads have always been around, but now that ad blockers have come on the scene, they’re even more relevant. Publishers are looking to native ads as a key strategy against ad blockers. That’s not to say native ads can’t be blocked — they can. But that’s not the point. What’s important now is that native ads are a way to win back not only users with ad blockers, but any user who is fed up with low-quality ads that aren’t mindful of their desire to have a pleasant online experience. Native ads can bring the focus back to the user and even incite them to add publishers to their whitelists or to disable their ad blockers completely. In short, native ads have the potential to act as a deterrent against ad blocking and, at the same time, push the industry to create more responsible advertisements. That means better and more comfortable ads — ones that users want to see, read and interact with. The best part is that with Native, publishers don’t have to choose between user experience and monetization. Native ads perform better than banner ads; they have twice as much visual focus and an 18% higher lift in purchase intent. On mobile, they have a 27% average click-through-rate. That said, it’s important to get native ads right. So, what’s the best way to serve a native ad? In the next article of this series, we’ll discuss some best practices for Native.